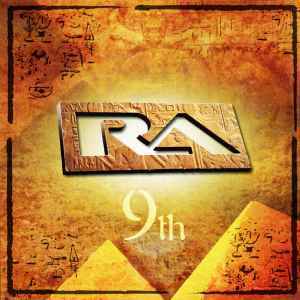 Ra's 9th has the same issues as the other two Suntrip albums I've reviewed so far (the 3-star Identity Mash & Arcana) in that the song's structures don't go to dramatic places, it plays too safe. But what 9th does well is offer a consistently-pleasing tone: it's enjoyable sunny eastern-flavoured proper goa, has no real skippable parts and crucially makes you fancy having it on again in the future. It's inoffensive, but nicely done all the same. lemmiwinks's review on the main release page says it all if you fancy more detail. I'll also add the kick is an unfortunate issue: it's too samey across most of the tracks: that hard sharp boot-in-yer-face thud does get a little tiring, mixing up the kick would give the melodies a different presence. Old-school, as we know, often had kicks with longer attacks and lower frequencies, this gave the synth-lines more room to manoeuvre. I think in most people's opinion the kick shouldn't be the most forceful thing about goa trance. 9th gets the 4-stars as it's still nicely goa and mixes it up with a couple of downtempo vibes. Standouts: I'd go for Time Current with its fine main melody - it's a solid candidate for a best-of-newgoa mix set. Expand Consciousness is also very nice indeed, with the most easterly vibes which benefit from dulling the kick a little. While the Psytrance world was at its driest Suntrip records had the brilliant idea to release this excellent album and man, what a masterpiece! "Time current" on its own is already a good reason to own this album. This is, I believe, Ra's best album so far. major disapointment. all sounds are artificial and doesnt sound like To Sirius at all. Avoid. Thank the universe for Ra, thank the universe for Suntrip Records, and most importantly, thank the universe for Goa Trance! This album is pure bliss. Ra went back in time, took all of the things that made this genre beautiful, and brought them into the future. 9th isn't just an onslaught of melodies, it is a well thought-out, focused, high quality record from the first second to the last. You must hear this. “9th” is a concentrate of eastern melodies, deep soundscapes and fantastic positive climaxes. This is more than classic, this is pure legendary-anthem-like material actually! Starting where “To Sirius” left off, “9th” upgrades the RA experience to an all-allegoric story, ranging from soft Ambient and downtempo Goa Trance to uplifting morning monsters ! Octagon and Expand Consciousness embody dreamlike acceleration/deceleration phases aside the Ambient maestrias of the Intro and Light Receiver. Ultima Energica, Spirit Complex and the massive Time Current are melodic stompers designed for the dancefloor, twirling layers over mind-melting rythmics ! Other Self, Transcendant and Predator are real athems to the Sun, the very definition of RA’s so special music, full of psychedelic highs and soundscape travelling. Story-telling at its best, really and one of the very best Suntrip releases to date. OK let's face it, Ra never was classic material. Looking back on To Sirius, the only thing good that can be said of that album was that for years it was basically the last proper oldschool album to be commercially released until all this newschool hype came around. But it doesn't really stand out as a whole, like IFO, Cyclone, Dancing Galaxy, etc., and the same can be said here. That said this album still has its potential, like many said before me, it sounds a bit like Khetzal: the floating dreamy trance type, not the agressive "hurricane of sound making you want to pull your hair out of your head when on the dancefloor" type that most of us think of when speaking about oldschool. IMO that's why most people (including me) are a bit dissapointed when listening to all the newschool releases. Another thing bugging me (about this album and new school in general) is the absence of memorable hooks: ok, you're having a good time while listening to this album but press "stop" and try continuing the melody in your head: nothing will come because nothing really stands out! I remember back in the days some oldschool melodies were so memorable that they would stay in my mind for YEARS. For example, I haven't listened to Prana - Scarab for at least 5 years but all I have to do is close my eyes, think about the track and it all comes back to me in a flash: the way it starts with the didgeridoo sounds, the way it picks up and continues, the way it stops near the end and the great melody starts just when you thought the track was over, EVERYTHING! That simply isn't the case here, or with most newschool releases. Maybe this should be something that newschool producers should keep in mind for future releases? So yeah in conclusion this isn't classic material IMO but still an enjoyable listen and it is MUCH better than most new releases out there. Don't really see the use of making a track-by track review cause all the tracks sound more or less the same (think Dimension 5 meets Khetzal and you'll have a pretty good idea of how this album will sound). Only the Intro (which I quite like BTW, even if it has the Raaa sample lol) and track 8 Transcendent (which sounds the most like "proper oldschool") stand out of the crowd. Oh and Light Reciever is a nice downtempo closing track. It's a pleasant surprise to see another album from this group after so long! You should be warned that this isn't the same style as To Sirius at all. It's more floating, dark and brooding and it doesn't really go anywhere. What I mean is that there are no insane melodies or build ups as in every track on To Sirius. All the melodies are subtle and floaty. This is still a marvelous album though I preferred To Sirus to it. It's got a unique style, very powerful and has good sound quality. It's nice music for playing in the background or just chilling out. It's NOT perfect, it could be better, but it's definitely worth picking up while you can! Probably best described as "dark, powerful goambient". Received the day of the worldwide launch and listened 3 times, without any interruption and.. is a masterpiece! There is not even a single track that can be considered weak in any part.. finally a cd that can be played dozens of times.. it was a long time i couldnt find one like this one. I must admit that, if u don't dig magical egyptian melodies and complex layered tracks, you won't like this.. but on the other hand if you buy a suntrip record you know what you will be finding more or less.. pure gold vibes in the true spirit of goa trance.. something that has been forgotten by the mass. Regarding RA, i really can't say anything else than won't be repetitive, is delirious and fulfilled of positive energy! I hope i'd have th echance to play some of these tracks around :). Go suntrippers and welcome back almighty RA!